Pretty sure the words "BUT HE WASNT TRYING TO SHOOT YOUR DOG" came out of my mouth last week. Oh yeah. You can see where this is going. I got a call from our neighbor. 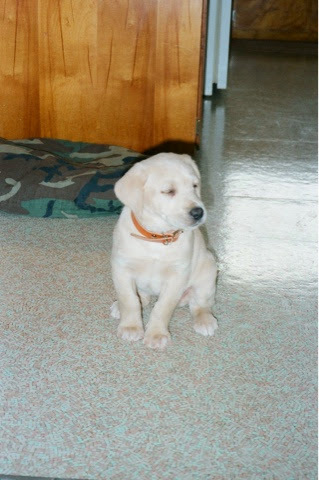 She wondered if I had seen anyone shooting arrows at her dog (The one that barks A LOT). Why, yes, Karen. I have seen someone shooting arrows but I promise he wasn't shooting your dog. He was shooting birds. BECAUSE THAT IS SO MUCH BETTER? Sigh. Once I assured Karen no one was trying to kill her dog, I sent Grant to her house to retrieve the arrows he lost in her yard. You know rules like don't kill things and don't scare your elderly neighbors. And just to be clear. He doesn't use the bow unsupervised. He just has incredibly bad aim and we lost a couple arrows. 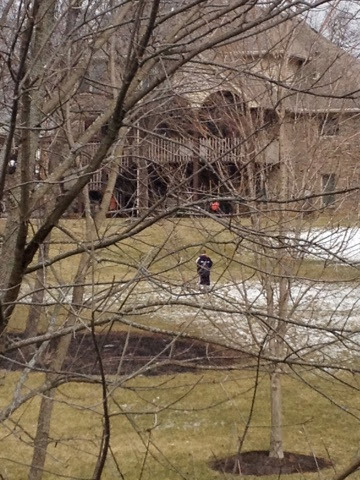 I don't think it hurt him to get a lecture from the neighbor though. 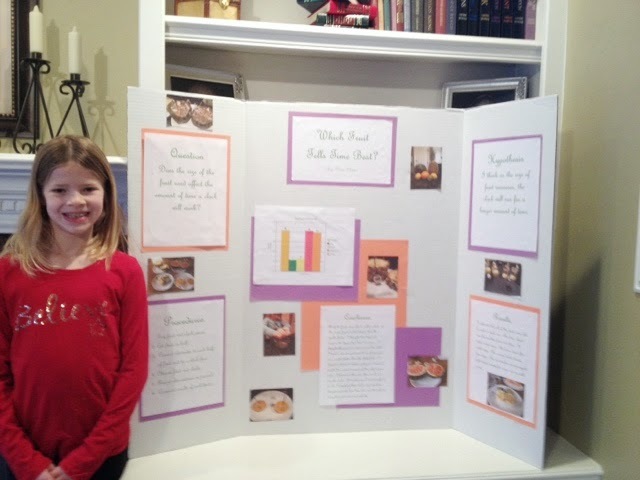 Grace proudly displayed her science fair project this morning as she practiced her presentation. Which Fruit Tells Time Best? The honest answer? We don't know. Our senses won over our sciences. 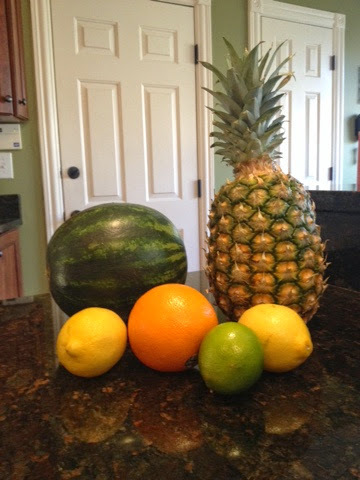 We finally threw out the pineapple and watermelon even though both were still running the clocks. We got grossed out by how bad they looked and smelled. We will leave that question unanswered along with how many licks does it take to get to the center of a Charms Tootsiepop. The world might never know. Grant showed off his Herbert Hoover poster. I found this project a little weird, but it is what the teacher wanted. He ended up with a nice two page report. He actually knew most of it from memory...more than I expected him to, but he can read his report to the class. No need to memorize. We also sent in pictures we took last summer at the Hoover Presidential Library and Museum in West Branch, Iowa. Bonus points, maybe? Gotta go! I'm off to Kroger. I'm all out of batteries. Now the only question is should I buy watermelons or pineapples for all of my battery needs? 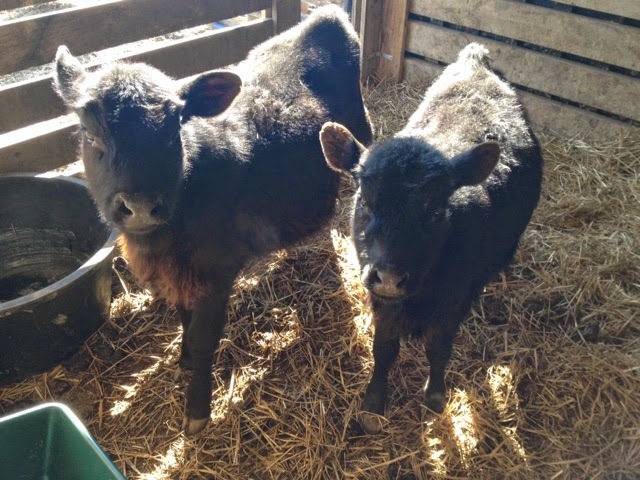 Baby calves are doing great. Momma cow didn't recover, but these girls are thriving. After many weeks of trying to get their momma healthy, david finally had to put her down. 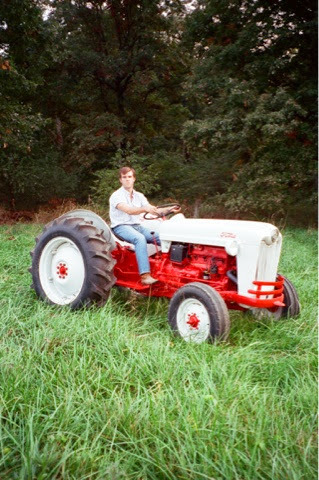 Some parts of this farm thing aren't much fun. Really strange stuff, but really fun. 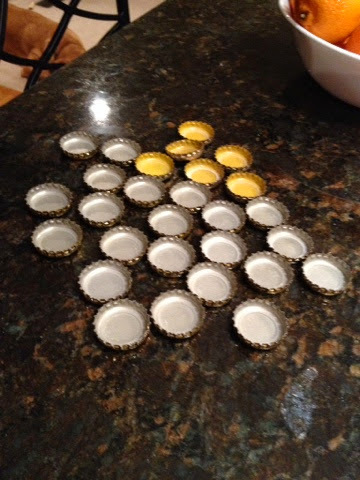 Because every boy needs a bottle cap collection. 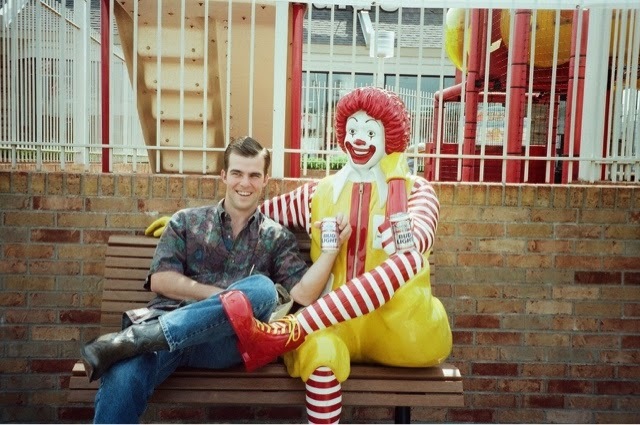 John is working a junior high church retreat this weekend. Emily has a friend spending the weekend here. I think a movie is on their agenda. David and I are getting the last three goats sold. A sap evaporator is on its way to kentucky. That makes us maple syrup professionals now. I guess. We should be able to easily make ten to fifteen gallons of syrup. So we just need to find people who want to buy ten to fifteen gallons of syrup .....because we can't eat that many pancakes....ever. David and I visited the boat and RV show tonight. We saw lots of great new features on display. Thankfully we escaped without buying anything. Grant has a report on Herbert Hoover due next Friday. Grace's science fair project is also due next Friday. Can you guess what we will be doing all weekend? Someone has been sleeping in MY bed....and he's still there! At least that was the story line last night at bedtime. 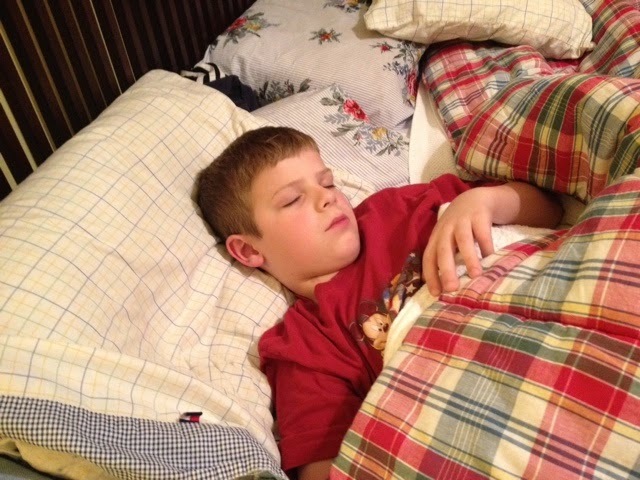 I found Grant sound asleep in my bed for some unexplained reason. David carried him back to his own bed. I would never have been able to carry his eighty pounds of dead weight. 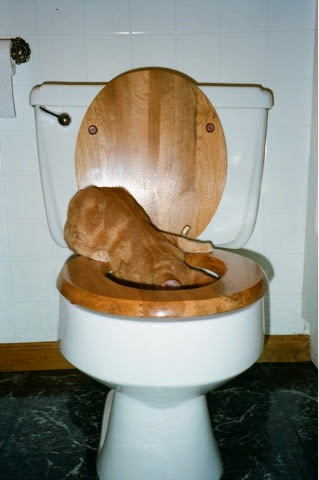 He would have still been there in the morning. 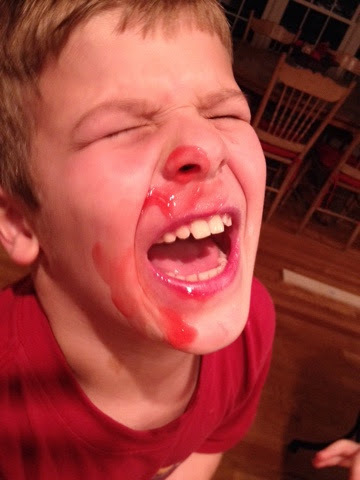 Grant came screaming into the kitchen with a bloody nose. Science fair project stiiiillllllll going!!! Yep. 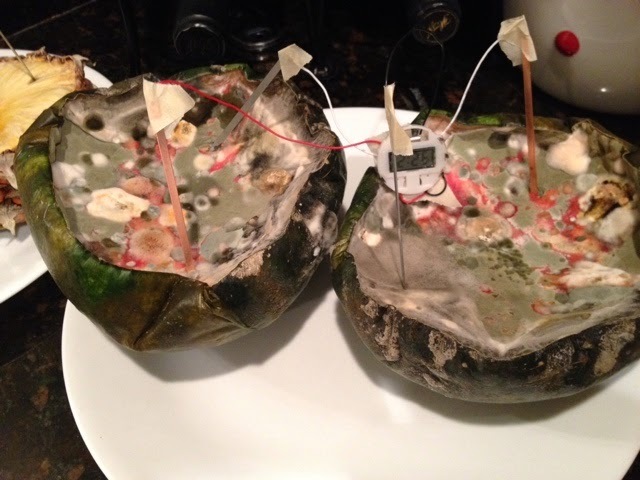 That's mold on them there watermelon clocks. Grace and Grant worked on their valentines tonight. 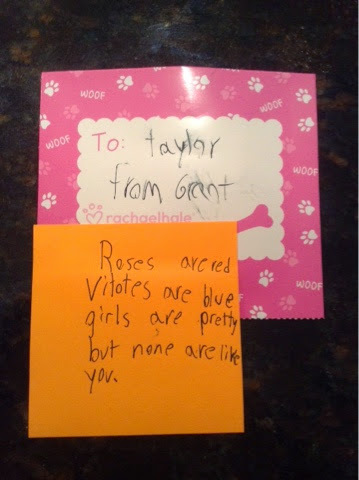 Look what Grant wrote to one little girl in his class. Hope she likes it. 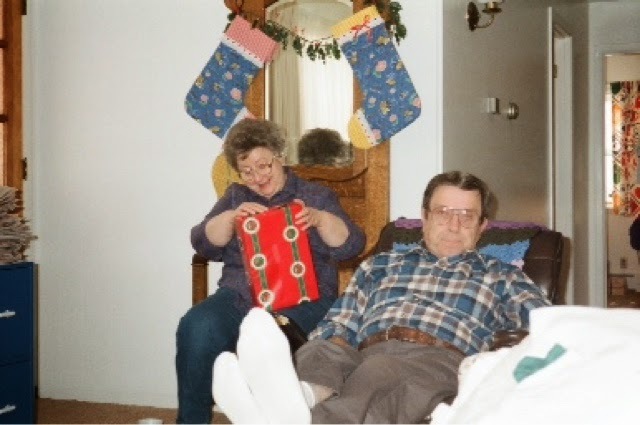 He is so excited to give it to her. Grace is reading more and more this year. She was slow moving from early readers into chapter books, but she found Black Stallion books and hasn't stopped reading since. Sometimes when I read with her at bedtime, I read aloud and she is beside me acting out what the horses are doing in the story. It takes great amounts of self control on my part to not "notice" what she is doing. 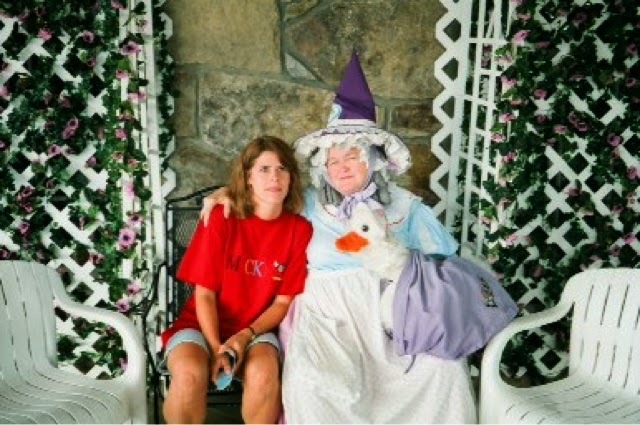 She would be embarrassed if she thought I was paying attention. Grant has become an avid reader this year too. Magic Treehouse books are second only to Pokemon on his list of favorites. I like the Magic Treehouse series because he learns about so many interesting events from the past. We read most nights before bed. I'd be lying if Isaid we read every night. Some nights I'm just getting them in bed as fast as I can. 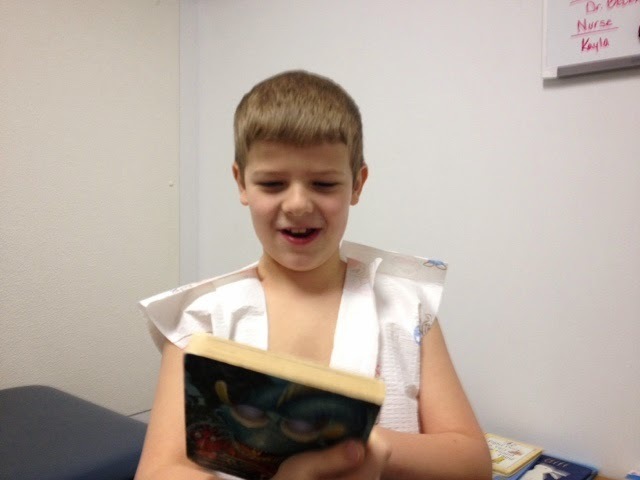 Grant took a few minutes to read while waiting on the doctor yesterday. He was enjoying his paper robe covered with pink and blue teddy bears. 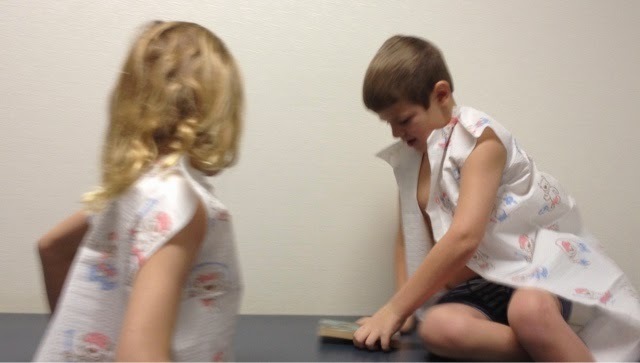 The doctor told him he didn't have to wear the robe, but Grant was having way too much fun to take it off. Grace got to wear one too! I am either incredibly efficient or incredibly lame. I made both appointments for the same day though their birthdays are three months apart. I prefer to think of this as efficient. Both kids checked out fine. Grace is finally on the growth chart at the fifteenth percentile on weight. She has had quite a growing spell the past year. Grant topped the chart at ninety seventh percentile for weight. Again, we are celebrating the fact that he is actually ON the chart. 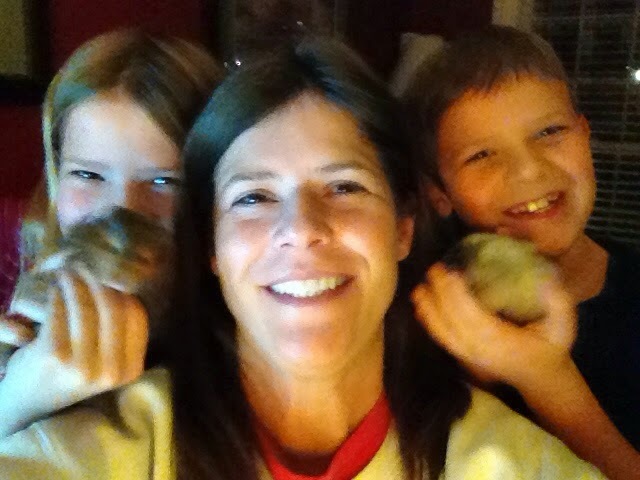 They were a little too close for my liking, but the kids wanted a picture of all of us together. I prefer my hamster encounters to involve a little more personal space. Grade cards came home this week. Good reports on everyone. There might have been a couple circular shaped grades and fewer triangular shaped grades this time. Nothing too bad, but we did have a little talk with our young scholars about working hard and doing their best. Hopefully next grading period things will improve. 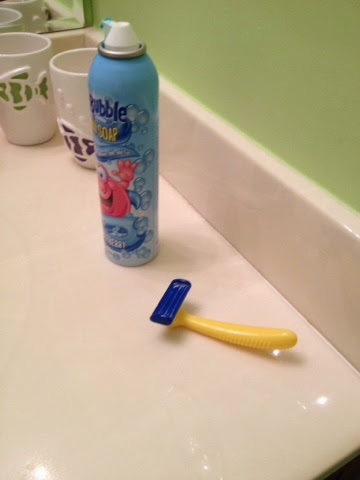 Grant is still shaving. Most days he shaves before school. He wants so badly to be grown up. He asks me lots of questions about dating, girls and getting married. Tonight while watching a video of john as a baby, Grant said, "I really want a baby of my own." What eight year old BOY says a thing like that? He already has his future wife picked out according to him. He plans to marry Taylor T...the cute little blonde that sits at his table in class. He isn't telling her about his plans just yet. He wants to wait "until they are old enough to date" before he shares with Taylor his plans for marrying her. Wise choice. 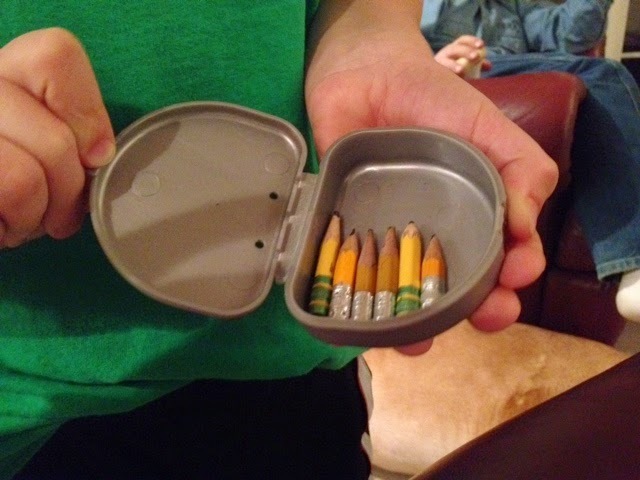 Grant is very proud of his "very tiny pencil" collection. The fact that they fit in his retainer case qualifies for the status of really weird and really gross. 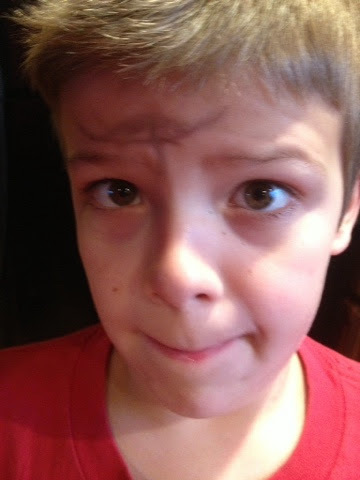 And the tattoo he drew on his forehead with a very washable crayon (thankfully). 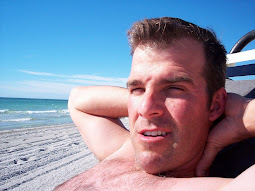 This is a selfie he took. I opened my picture file on my phone the other day to find about a hundred selfies he had taken. Sigh. Grace was home sick Wednesday last week. Grant was home sick Monday. Emily wasn't feeling well today. At least everyone has been back to normal in about twenty-four hours. That's not so bad. 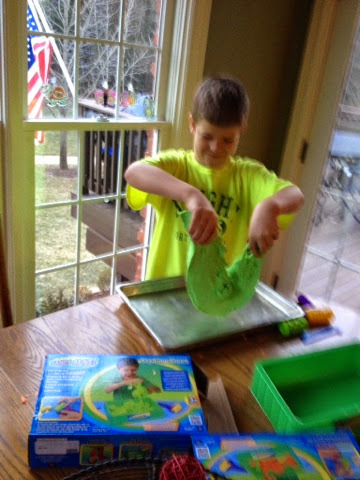 Science fair project is still going. 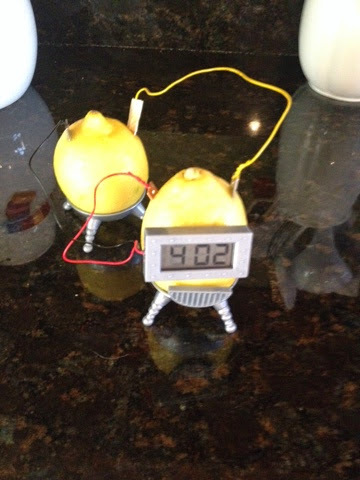 Only the lemon has completely stopped working. 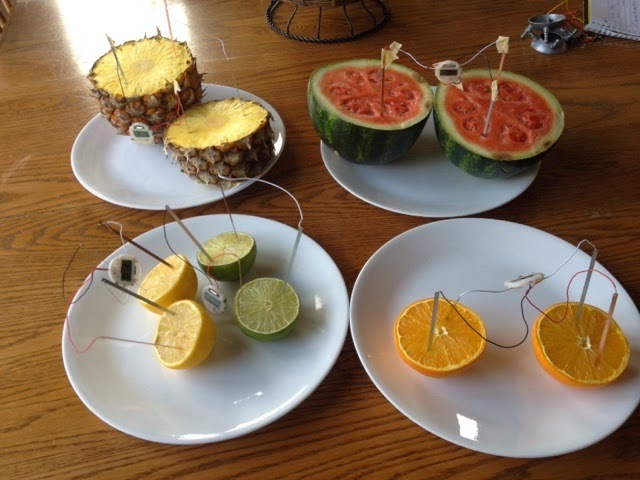 Fruit is getting a bit gross and moldy, but hey, it's science so that's okay! Happy belated birthday, Grandma! Hope your day was special!!! Still going after 48 hours. 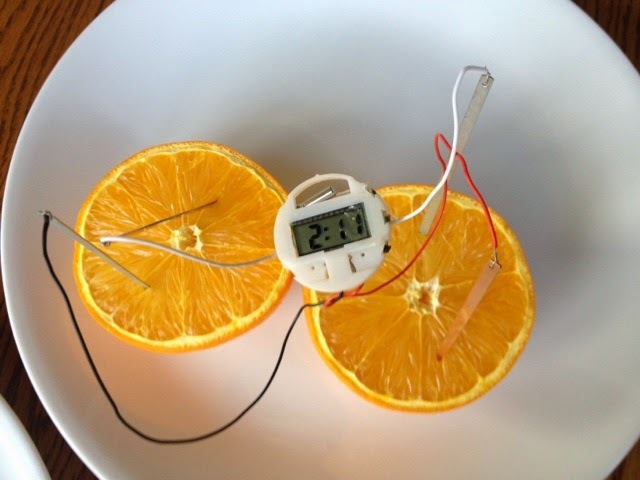 Just stuff an orange in your flashlight! 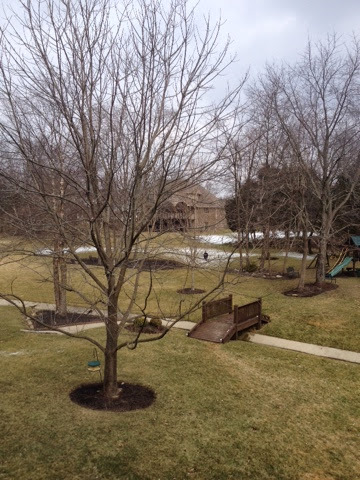 Emily and David drove to Indy last night in spite of the bad weather. The purpose of the trip? Tickets to see Dancing With The Stars. David was so excited to watch the show. Oh wait. 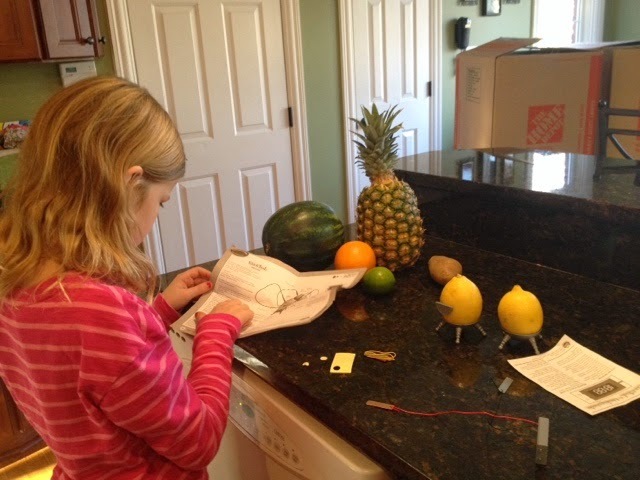 Grace is working with the ever amazing fruit clock for her science fair project this year. We have been spared the agony of eating black jello for at least another year! 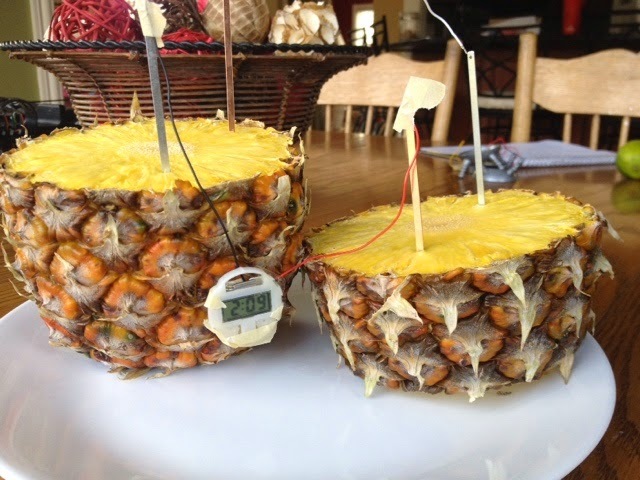 Her project studies what kind of fruit will power a clock for the longest time. 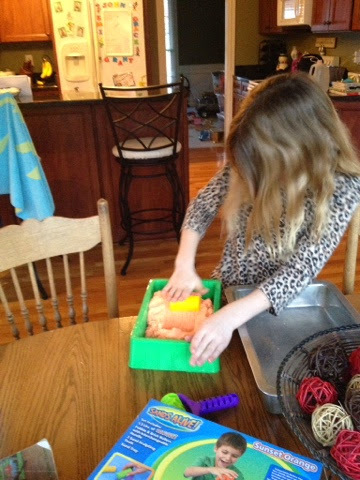 She will also see if using pure fruit juice works differently than real fruit. 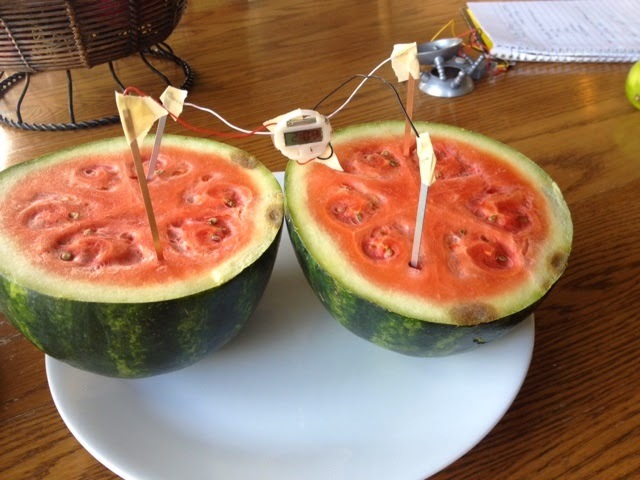 When she is finished, I will let you know what fruit you should buy to power your clocks! You will be anxiously awaiting the results. In other news, it is cold. Really cold. Winter can end any time now and I will not complain one little bit. We bought the kids a new sectional sofa for the basement. 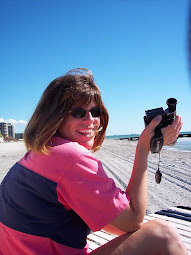 It was time to retire our Florida rental furniture from twenty years ago. I am amazed it has lasted this long. I think it is made of Popsicle sticks and superglue. The old furniture is going into storage for now to one day be resurrected as college apartment furniture if needed....echoing the design style known as "early garage/post modern basement". We took the kids to see Night At The Museum 3 Sunday afternoon for a final holiday hurrah. It was a very cute movie. It is so nice to take the family to something other than an animated disney movie. They are growing up. Yeah! Sunday was a busy day because after church and a movie, Emily attended a baby shower for her church group leader. Congratulations to Brian and Emily P. on their new baby boy. 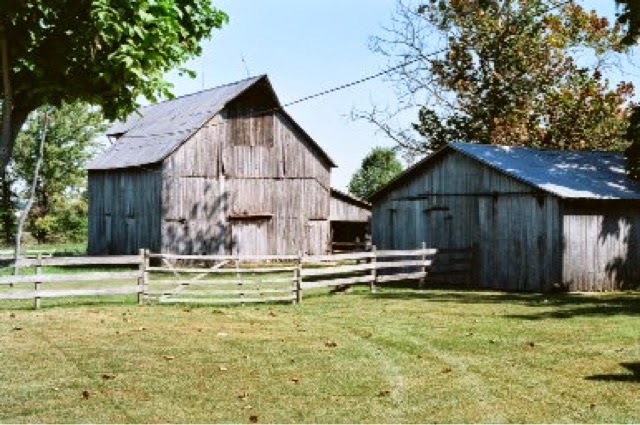 We spent a few days during break working at the farm. We cleaned and widened trails. Even Grace and Grant helped with trail maintenance. When they grew bored, they wandered off to make their own separate trail. Both kids worked very hard cutting a new trail all their own. The problem? They aren't even five feet tall. They could only cut limbs as high as their arms would reach. The only way to traverse their trail is crouched down or on hands and knees in order to not get hit by tree branches. No matter. They were so proud of their work. That is what counts. After working hard all day, the evenings were spent playing cards and board games. Grace has joined a geography club at school. She is hoping to be part of a school team that competes in something similar to a spelling bee. I hope she does well. Emily is signing up for volleyball at church this winter. Go Emily! 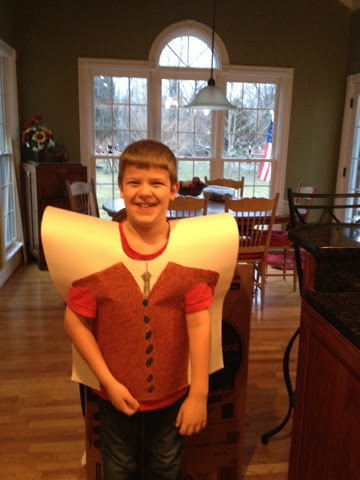 John is practicing for solo and ensemble contest in February and considering joining the Jazz band at school. Grace and grant start swim lessons again this week. John and Emily have church small groups starting this week. My bible study begins meeting again in a couple weeks after a long holiday break. Yes. Back to normal. Back to busy. I love being a zookeeper. Today life officially got back to normal. Well, normal for us anyway. The kids started back to school today and I swept away the last of the pine needles. I love the decorations and lights. I love even more to get the house back to normal after the holidays. 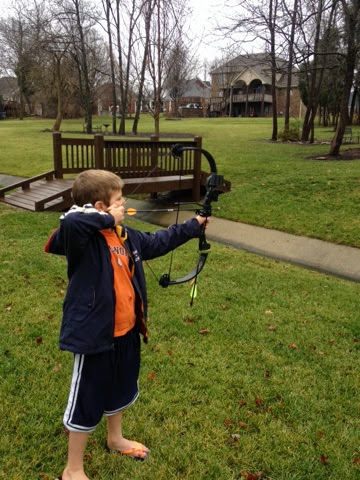 Grant has been having fun with his new compound bow. 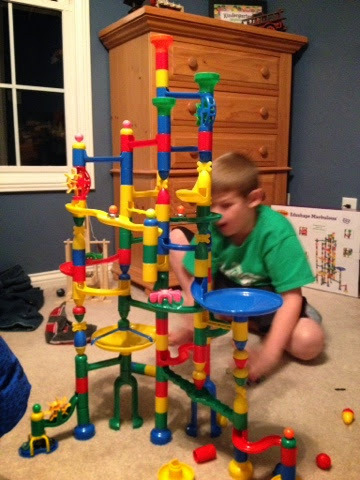 It was a gift from his dad. I try to buy gifts less resembling weapons. David celebrated another birthday. 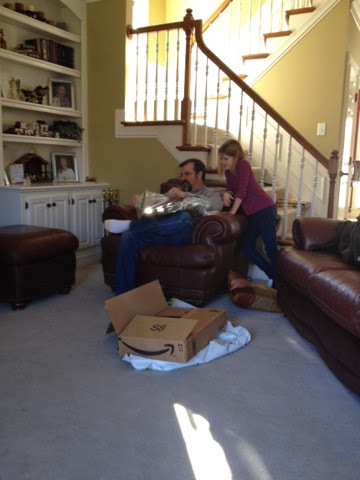 Grace helped him open gifts which included baseball cards and saddlebags. His saddlebags look much nicer than mine. Yes I mean that exactly like it reads. 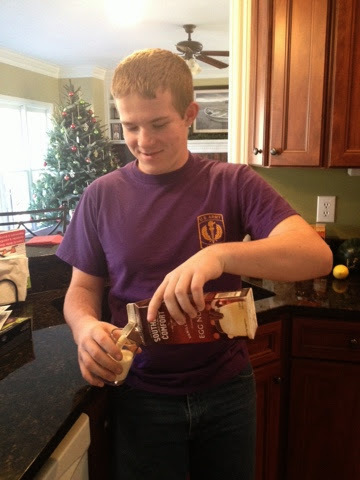 The egg nog wars are over. Thank you for resupplying the troops, Grandma Simms! Both guys are enjoying their abundance of nog!